Turkey has no problem with Kurds and aims to fight terror groups ISIL, PKK and its Syrian affiliates PYD/YPG, President Recep Tayyip Erdoğan said in a phone call with his U.S. counterpart on Jan. 14. A statement from the Turkish presidency said Erdoğan and Donald Trump discussed the idea of a "terror-free safe zone" in Syria's northern region. Turkey backs Trump's decision on the withdrawal of U.S. forces from Syria, Erdoğan said. The two leaders agreed to advance bilateral economic relations. The phone call came after Trump's tweeted threat to "devastate Turkey economically if they hit Kurds," conflating "Kurds" with the PYD/YPG, which Ankara considers as the Syrian offshoot of the PKK. The PKK is listed as a terrorist organization by Turkey, U.S. and the EU. The two leaders emphasized that the Manbij Road Map should be completed to avoid a vacuum of authority in the region. 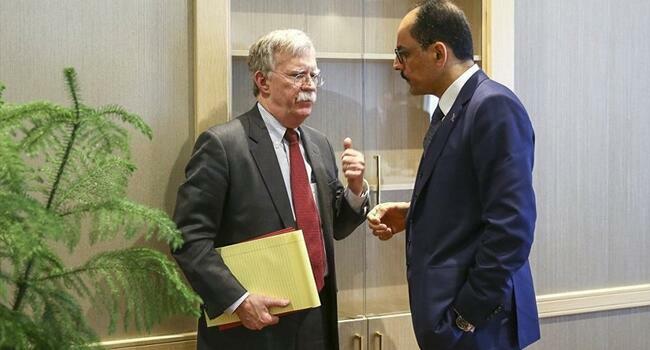 Trump "expressed the desire to work together to address Turkey’s security concerns in northeast Syria while stressing the importance to the United States that Turkey does not mistreat" the PYD/YPG, the White House said in a separate readout of the call. In a tweet later Jan. 14 evening Trump said he spoke with Erdoğan "to advise where we stand on all matters including our last two weeks of success in fighting the remnants of ISIS, and 20 mile safe zone." The discussions, Trump said, also focused on bilateral economic ties, which he added have "great potential to substantially expand!" 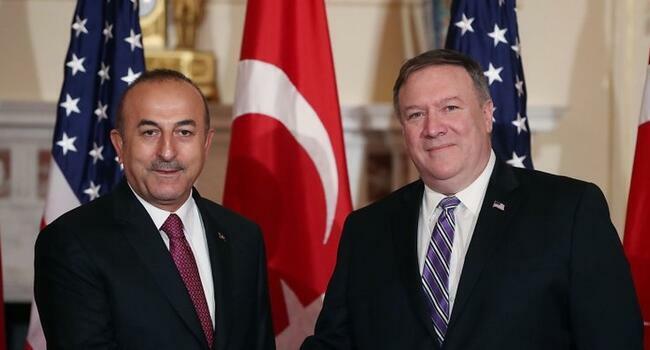 U.S. Joint Chiefs Chairman Joseph Dunford is set to meet with his Turkish counterpart Yaşar Güler on Jan. 15 for further consultations, the White House said.